Welcome to the new year with Sleazy Deep, we’ve got so much to give this year after quite an amazing 2013. Having just had our 2nd Birthday and celebrating numerous top10’s and a Number One beatport compilation with Miami Sleaze, which was also featured in Beatports Best Of 2013 albums chart. 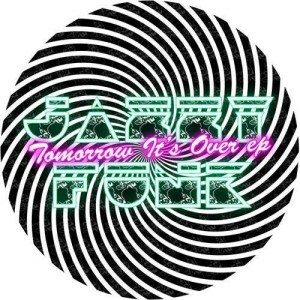 Ever moving forwards lets re-introduce JazzyFunk the multi-talented Italian duo who seem to be popping up on many a quality label since signing It’s Over and being featured on our Future Sound Of Sleaze compilation. JazzyFunk are a serious underground Nu-Skool disco & deep house duo that sing & write their own vocals and will also be seen featuring on other artists tracks from Saccao, Haze-M to name a few. Here we bring you their Tomorrow It’s Over EP which features It’s Over, Tomorrow & two remixes to finish the release with a bang. The first track It’s Over smashed it on our recent compilation gaining huge support for it’s great vocal work and deep disco feel. The follow up Tomorrow again has awesome vocals, deep chords and killer disco vibes ready for those lush moments on the floor. The first remix of It’s Over comes from our Ibiza Sleaze artists Memz & DeeAfro who inject the funk creating a nice take on this super HOT track, lastly we get Sleazy Deep artists Bob & Luke to remix who totally switch it up giving us a deep breakin’ jazzed up version perfect for any sunset moments!!! Again, another top quality release from Sleazy Deep, This is ESSENTIAL!! !